Laney is there for the belly rubs and kisses. She is so sweet and affectionate that it’s impossible not to fall in love. 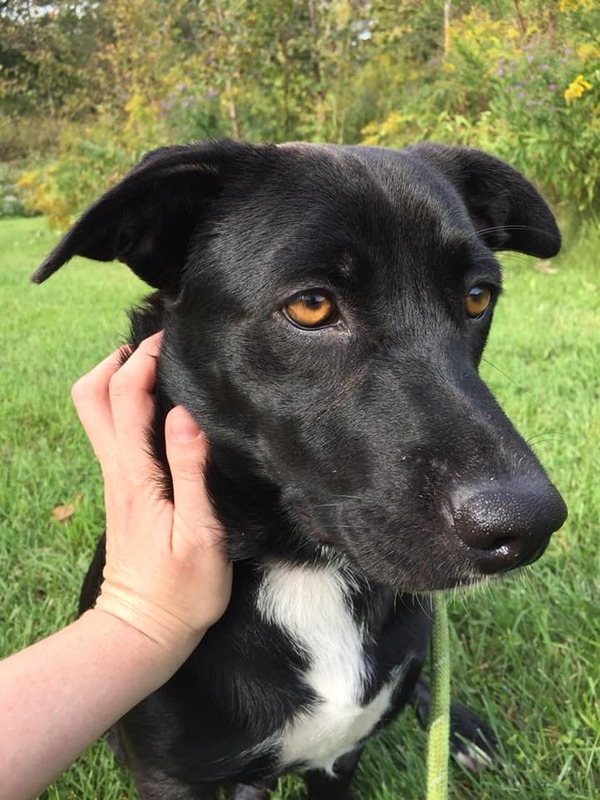 Believed to be part-lab, part-corgi, this black and white beauty has the personality of a big dog in a long and low-legged body. Laney is comfortable in her crate and goes in willingly for quiet time. She likes other dogs, but is still finding her place with our two big dogs inside the house, and has let out a few soft growls. They walk together nicely as a pack in the street. She’s good on leash and seems to know some commands, so we expect this sweet girl was once a beloved family pet. She has not yet peed or pooped while settling in (first 24 hours), so will update on how well house trained she is once she’s been here longer. Same for barking: has not yet made any noise, but we have not left her crated without humans around yet, so stay tuned for update!